Whatever method the players came up with, it worked wonders for the first two sets at Kelley-Rex Division leader Taunton on Monday evening. 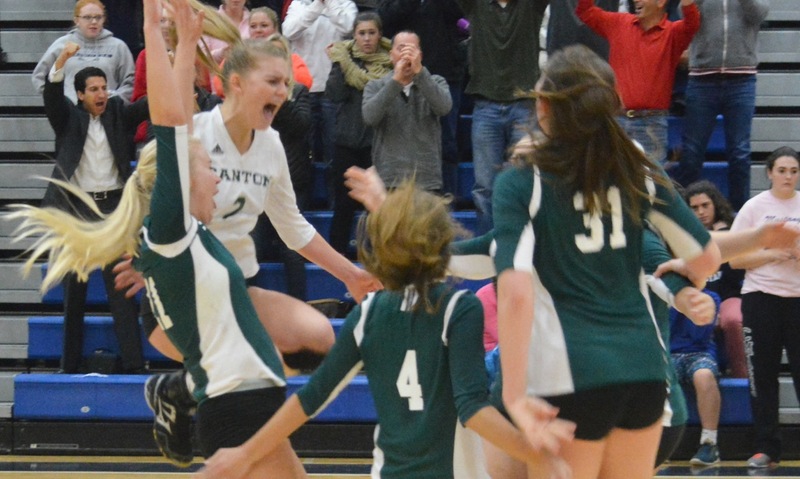 The Panthers jumped all over the Tigers to win the first two sets before Taunton roared back in the third and fourth to force a deciding fifth set. 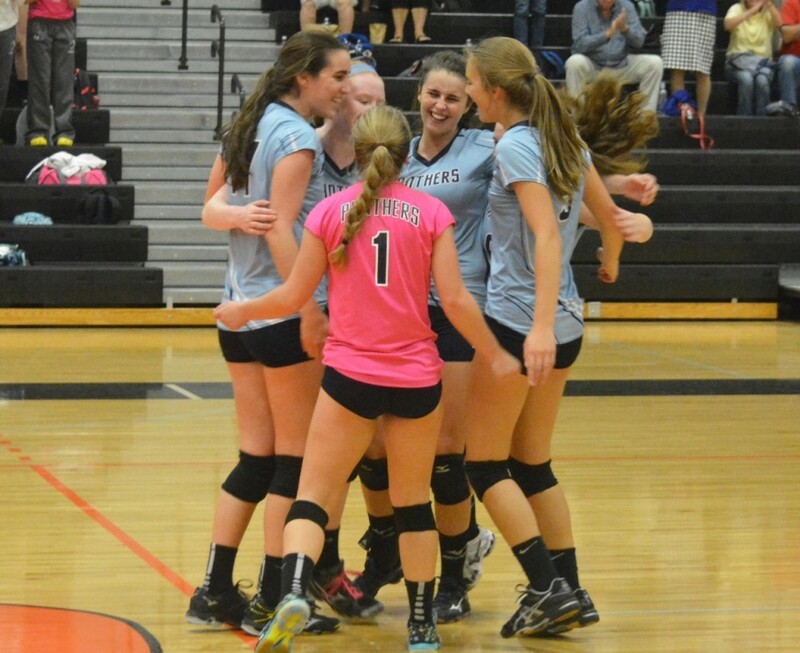 Franklin took back momentum and claimed the final set 15-5 for a 3-2 (25-17, 25-21, 21-25, 15-25, 15-5) victory that means the top four teams in the division all have just one loss. “I’m really excited for the girls because it was a good bounce back and it was a win against a quality team on their home court,” said Horsmann. The first two sets were dominated by the Panthers and a balanced attack including outside hitters Aubrie Kutil (12 kills) and Hannah Chace (seven kills). 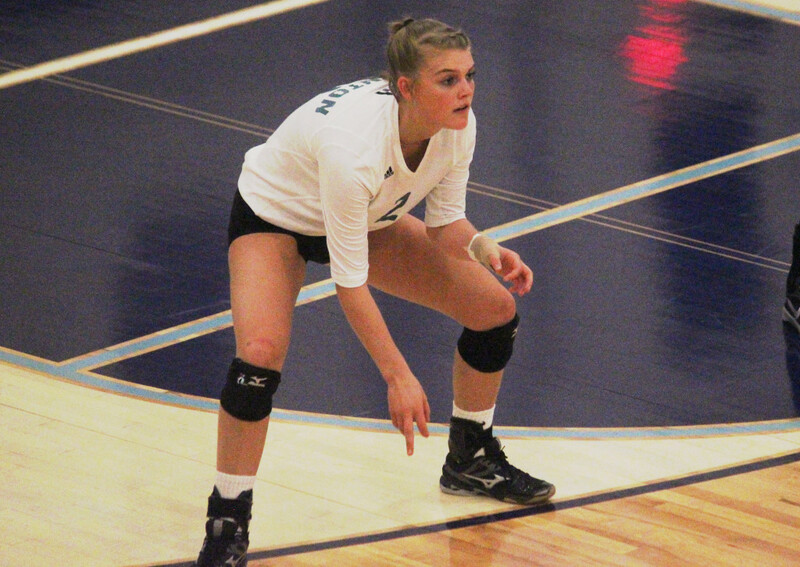 Setter Elizabeth Neal (team-high 18 assists) spread the ball around to the Panthers hitters and Franklin controlled both sets from start to finish. 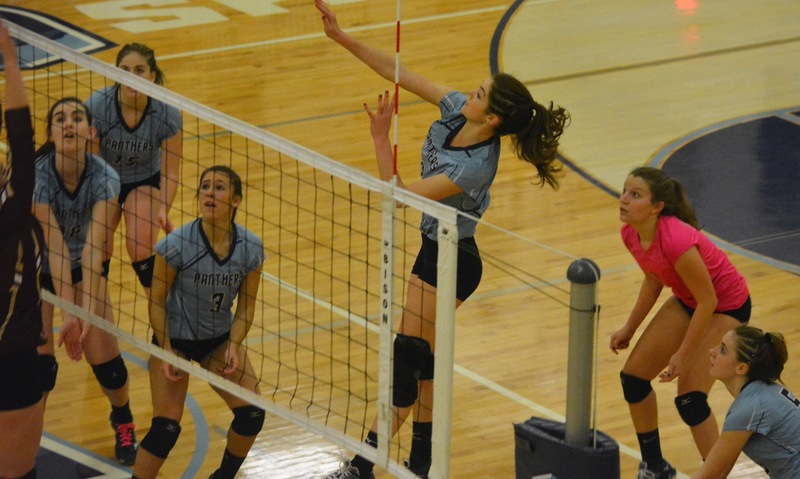 The return of senior Alyssa Shea from a concussion also helped Franklin’s rotation. An hour into the match and it looked over. Taunton coach Toby Chaperon spoke with his team in between the second and third set and asked them a simple question. The Tigers took an early lead in the third set, their first lead of the match, and built the lead to as much as six (12-6). Taunton’s defense looked vastly different with libero Molly Sullivan (13 digs and only two errors) and Megan Navarro (10 digs) keeping plays alive for Tatum Speicher (32 assists) to set up Emily Moor (16 kills) and Aimee Kistner (five kills). 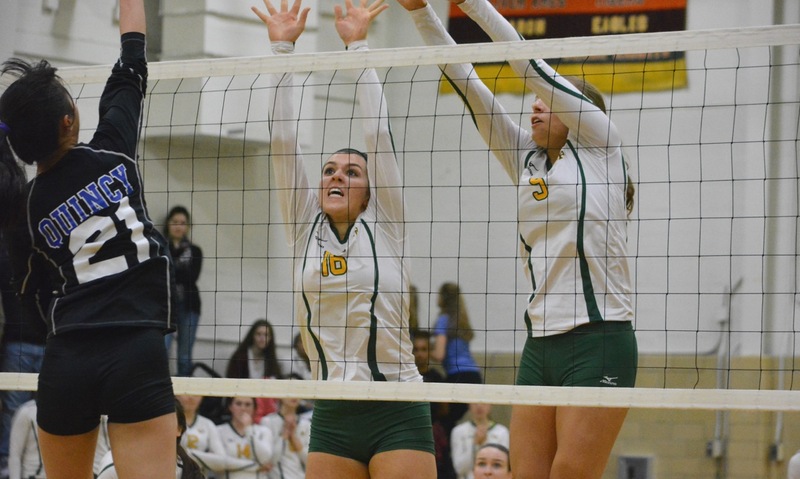 The Tigers were helped by Franklin suddenly going flat and making mistakes, particularly in the service game where the Panthers made five errors in each of the third and fourth sets, including the final point of each. The momentum was completely with the home team and the gym was very loud as the fifth set began, but it was the visitors that took back control right away. Caroline Maguire took over the serve with the score 1-1 and went on a run that pushed the Panthers ahead 7-1. She also came up with a huge block in the middle to make it 11-4 and a kill to set up match point. The Tigers could never get momentum back in the shortened fifth set and the Panthers were able to pull away to get the victory that turns the division title race into a quagmire between four teams. “They got a couple of nice swings and they got a lead off their serve and next you know they’re up 6-1 and in the fifth set it’s so crucial to get the advantage,” said Chaperon. Franklin (6-1, 5-1) will host North Attleboro on Wednesday, while Taunton (6-2, 5-1) will travel to defending Kelley-Rex champ King Philip.